It kinda bugs me that the day three awesomely talented and beautiful girls graduated from one of the best Japanese girl bans EVER was the same day that I was laying in bed, dieing of a cold. Okay I exaggerated that, but I was in pain >.> but it does bug me that I was ill the day they graduated, though I did cry with my sister. For Kamei, I was never a big fan of hers when I began to fall in love with Morning Musume, however I always knew she had awesome vocals and she has always been a great dancer - if I thought he was a bad dancer and a bad singer then I'd be just stupid :/ Anway she was never my absolute favourite -I always like Koharu and Niigaki and LinLin better. When I found out that Kamei was graduating, though, I became a little depressed - she had just always been there it seemed and it's going to be noticeable that there's a giant empty space now that she's gone. Kamei-chan, who has been there since SHABONDAMA, it is sad to see her go. Morning Musume has lost a strong singer and a strong dancer and a great performer and actress. Morning Musume will certainly not be the same without her. To Kamei; now as a graduated member of Morning Musume, I hope that you will one day return to the world of entertainment where you will always shine. Hopefully you will from your skin damage and your fans and I hope to see you back within the world of singing soon. For JunJun; again I was never a big fan of JunJun - but she has always been undeniably cute and lovely. JunJun should have got a PB for heself, really! She's too gorgeous to NOT have one! In truth, I think that her graduation is far too soon and that she had at least another 2 years of Morning Musume left in her - she didn't have enough time within Morning Musume, and it would have been nice to see her grow more as a young woman and as an entertainer. To JunJun; as a graduated member of Morning Musume, I hope that you grow as a singer and make an impact in China and become a star, either as a soloist or as a group member. You are a beautiful singer and an equally beautiful woman. For LinLin;one of my favourite members of Morning Musume; LinLin is a beautiful singer and a funny girl to top it all off. She is one of the most under-rated members of Morning Musume eve though she easily beats half of the Morning Musume members vocally. LinLin certainly deserves herself a photobook and a solo single, but those days are, of course, long gone (for Morning Musume, that is.). This girl is just wonderful - and maybe I'm biased but she has just grow so much and she probably had so much more left in Morning Musume - she shouldn't have graduated so suddenly. This girl will always be a favourite of mine and I hope that she becomes a bigger star in China than she already was and I hope that she has fun whilst dong it! To LinLin; Now that you have graduated from Morning Musume, I hope that you blow China over with your talent and your wonderful personality. I hope that you become a soloist because you deserve it; I hope that you release a photobook and I just wish you luck and happiness. Wo ai ni. 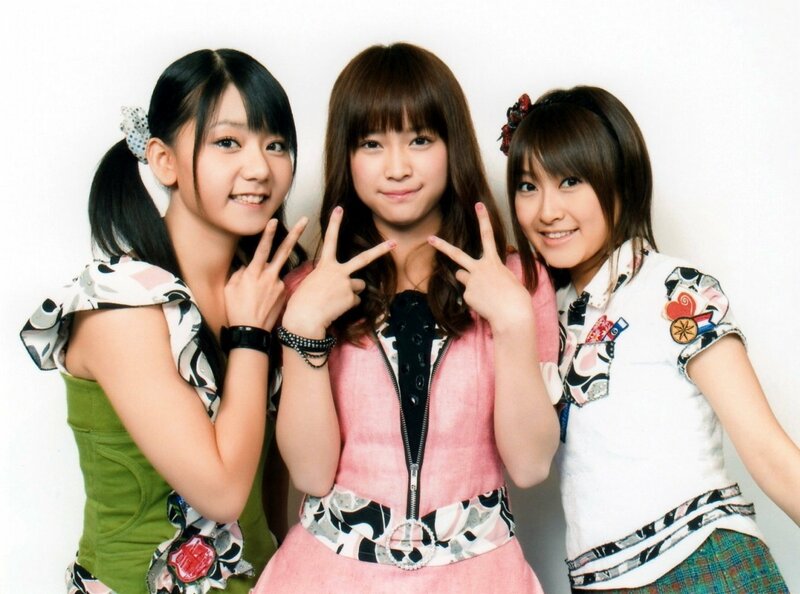 And there we have it; 3 great members have now left Morning Musume and will go on to try new things. Hopefully we will receive a few regular updates on them (especially LinLin) and hopefully at least one of them will become a soloist. SO now 8 has tuned into 5 officially and we are back to a small Morning Musume. Hopefully we will get a new single out of them BEFORE any new members are added; I really want to see how Morning Musume is with just 5 of them now; maybe an updated version of Morning Coffee, perhaps? But I would enjoy it if they brought out a new song BEFORE anybody else infiltrated the Morning Musume household. Mitsui Aika is FINALLY getting a photo book of her own and the preview is WONDERFUL! At least she is getting one - Jun and Lin should have had one too but Tsunku is a twatnick >.> Anyway congrats Mitsi! YAY! She deserves it!